1909 Kitchen’s Chef Paul Moran competes in Canada’s most prestigious culinary competition against the best and brightest professional chefs across Canada on Top Chef Canada, premiering tonight, April 1, at 7 p.m. PT / 10 p.m. ET on Food Network Canada. Chef Moran finds himself up against ten other professional chefs in the seventh season of the intense cooking show – competing for the coveted title of Canada’s Top Chef and the grand prize of $100,000. Weekly live viewing parties will be held at The Hatch Waterfront Pub, next to 1909 Kitchen at Tofino Resort + Marina, every Monday starting April 1, with drinks specials and exciting giveaways. Each dish Chef Moran creates on Top Chef Canada will be offered to guests at 1909 Kitchen for the week following the respective episode. “I am incredibly grateful for the opportunity to compete on Top Chef Canada and am excited to showcase the range of skills I have developed through working with so many excellent chefs from around the world,” says Chef Paul Moran. Chef Moran started his impressive career as an apprentice with WEST Restaurant in his hometown of Vancouver under the leadership of renowned Chef David Hawksworth. He was the first-ever recipient of the Hawksworth Young Chef Scholarship, which awarded him the opportunity to stage at the legendary Pujol in Mexico City. Chef Moran’s career includes prestigious restaurants in Dubai including the Jumeirah Beach Hotel and two Michelin-starred restaurants in France: Hotel Negresco and Saturne Restaurant. 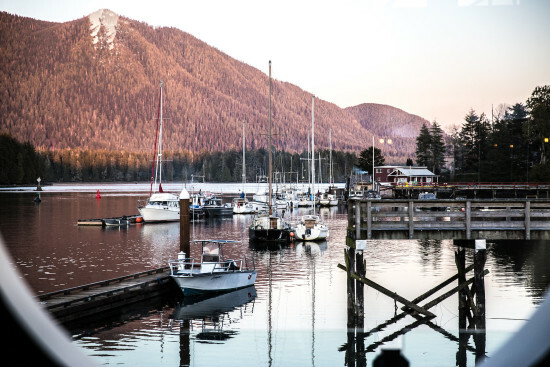 Drawn back to the west coast of Canada, Moran has held Executive Chef roles at West Coast Fishing Club’s Outpost Lodge in Haida Gwaii and the award-winning Nita Lake Lodge in Whistler. 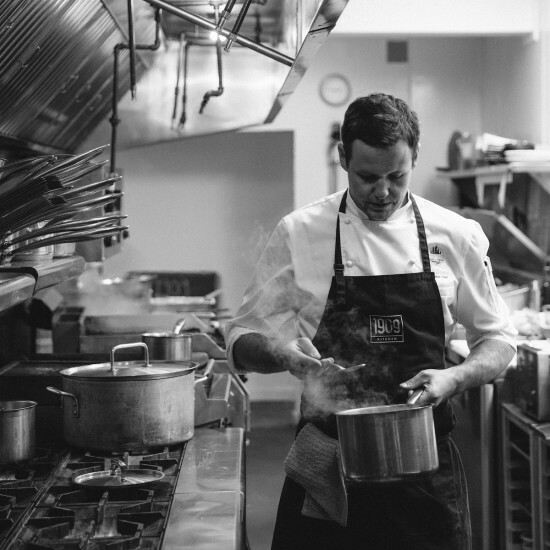 A fifth-generation forager, Moran became the Executive Chef at 1909 Kitchen at Tofino Resort + Marina in 2017 and as he is passionate about a locally sourced, ingredient driven menu, he finds the oceanside community a perfect fit. Calm under pressure, Chef Moran is confident his strong culinary background and previous competition experience will serve him well as he takes on his Top Chef Canada competitors in a variety of Quickfire and Elimination challenges. Each week, host Eden Grinshpan (Eden Eats, Chopped Canada) alongside head judge Mark McEwan and resident judges: food blogger, Mijune Pak; acclaimed culinary journalist, Chris Nuttall-Smith; and renowned restaurateur, Janet Zuccarini, will weigh in on dishes as they search for Canada’s next Top Chef. Tune into the Food Network Canada’s #TopChefCanada at 7 p.m. PT / 10 p.m. ET starting April 1 to cheer on Chef Moran. Full episodes will also be available online after broadcast at foodnetwork.ca/topchefcanada. To experience Chef Moran in his element at 1909 Kitchen or join a viewing party at The Hatch Waterfront Pub, please call 250.726.6122 to reserve. For more information, visit tofinoresortandmarina.com.